Louis Vuitton and Takashi Murakami go hand in hand now. But it was only six years ago when they first collaborated on the spring-summer 2003 season. We continue to be excited by new Louis Vuitton and Takashi Murakami collaborations and wait anxiously to hear about the new additions. 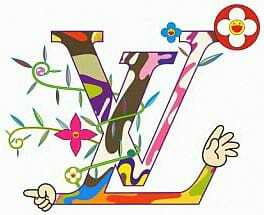 For your viewing pleasure, Takashi Murakami has created a film animation to follow his Superflat Monogram film from 2003. The new filmed is dubbed the Superflat First Love.